Multiplayer Bound for Mass Effect 3? 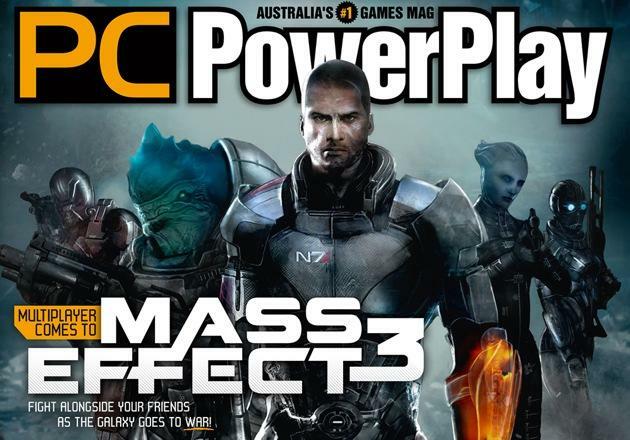 While BioWare and EA have both gone on the record as dismissing and not commenting on rumors that Mass Effect 3 would see multiplayer elements when it releases, one Australian gaming magazine reveals that they have been told about new cooperative content in the upcoming western RPG. The news comes by way of Joystiq as they reported on the cover image you see above. Given the fact that this reveal isn’t coming directly from EA or BioWare by way of massive press release, screenshots or a trailer, we’ve decided to label this news as simple rumor until we hear official confirmation. However, the story appears on the cover of one publication which claims to have spoken with BioWare representatives directly about this new feature; they’d be pulling a pretty big lie if they were making this up. So, with that, we turn towards consideration and minor objections. We’ll never understand the incessant need to put multiplayer gaming in projects that don’t need it. As more and more once single player games get sequels with multiplayer elements, we start to turn and look back at titles like BioShock 2. BioShock is a perfect example of a series that never asked for multiplayer, but got it anyways. With news of Mass Effect‘s potential new multiplayer component, we have to ask: why?